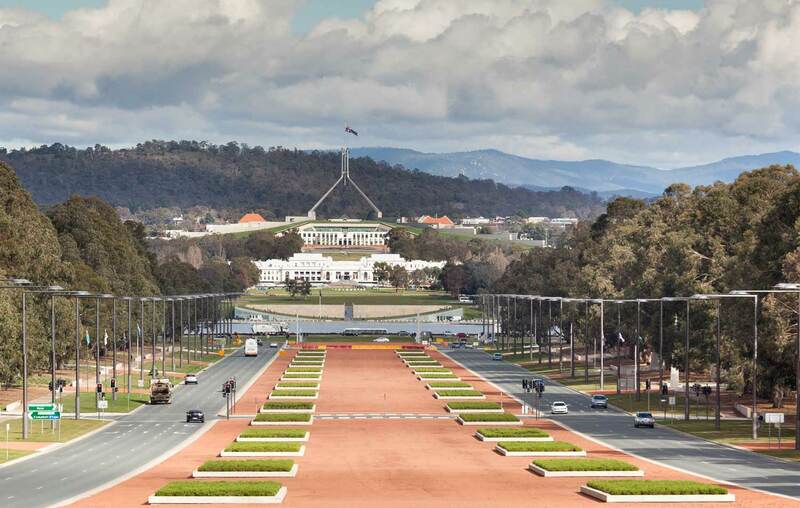 Canberra’smaindrawcard is its status as Australia’s capital and, as such, the city is buzzing with important political landmarks.Travelling around the Australian Capital Territory will give you a deep insight into Australia’s beginnings. Here, you’ll be transported back totheDreamtime, through the nation’s convict history and into the heart of the modern democratic foundations of today’s Australia. Here, we take you through the best places to visit if you want to learn about the nation’s foundations. Opened midway through the Second World War, the Australian War Memorial was built as a testament to the lives lost during conflict. As well as displaying the Honour Roll, listing the lives lost during each conflict, the memorial plays a rendition of the Last Post each day. Once you have explored the sombre building, you can learn more about the history of Australia’s armed conflicts at the museum next door. Most major decisions that shaped the nation were made behind the four walls of Australian Parliament House. The building itself is an impressive architectural feat, inside and out. After viewing the expansive white facade, you’ll be free to explore the interior with its massive halls, lavish tapestries and marble fitout. If you’re lucky, you can even catch a fast and fierce debate from the politicians if Question Time is in session. Make sure that you head to the grass-lined rooftop to see Canberra from above before you leave. Located at Old Parliament House the Museum of Australian Democracy celebrates the history of how we in Australia got the right to vote. It’s an entertaining and interactive visit that helps you connect with the ideas behind Australia’s political system. The National Portrait Gallery takes you on a tour of the most important faces from Australian history. See representations made from wax, paint and pencil of some of Australia’s most iconic people from Indigenous culture, politics and popular culture. That’s right, even musicians are represented on the gallery walls, with Victorian-born Nick Cave gracing the gallery.